Helicopters have always been a dream in human flight. They can land anywhere, take off from anywhere, hover, lift, rescue, and do so much more. In the civilian sphere, helicopter are used both as leisure vehicles as well as for ferrying people from one place to another. A lot of the rich and famous do not like being be stuck in traffic with all of us plebes, so they just walk out to their garage, fire up their helicopter, and fly off to work, landing at the office in a matter of minutes. Meanwhile, in Sao Paulo, Brazil, a city with 12 million people in the greater metropolitan area, traffic is sometimes so bad that it can take an hour and a half just to travel 18 miles! So, what a lot of the more wealthy members of Sao Paulo society have started doing is taking helicopters to and from work, and even from business meeting to business meeting. These days, it is not uncommon in that city to look up into the sky and see dozens of helicopters ferrying bankers and lawyers from place to place and building to building. It would certainly make our commutes a whole lot easier! Of course, the biggest helicopters in use today are being flown by the military. Choppers are able to drop off and extract soldiers from landing zones with ease (especially since, unlike airplanes, they do not require a super long runway in order to become airborne), they can hover above the ground and do water or land based rescues, and, of course, they can also be used as transport vehicles. When people think of giant helicopters, it is not uncommon to imagine a Chinook or Blackhawk helicopter. But it turns out that the largest mass produced helicopter in the world is actually a Russian invention. The helicopter is called the Mil Mi-26, and it is a super powerful workhorse. As big as an airplane, it’s a wonder that this bird is even able to get off the ground. It’s size gives it the ability to go on some of the stranger missions we have ever heard of. During the Cold War in the 1970s, the Soviet Union decided that it wanted a new, faster, and more powerful helicopter. 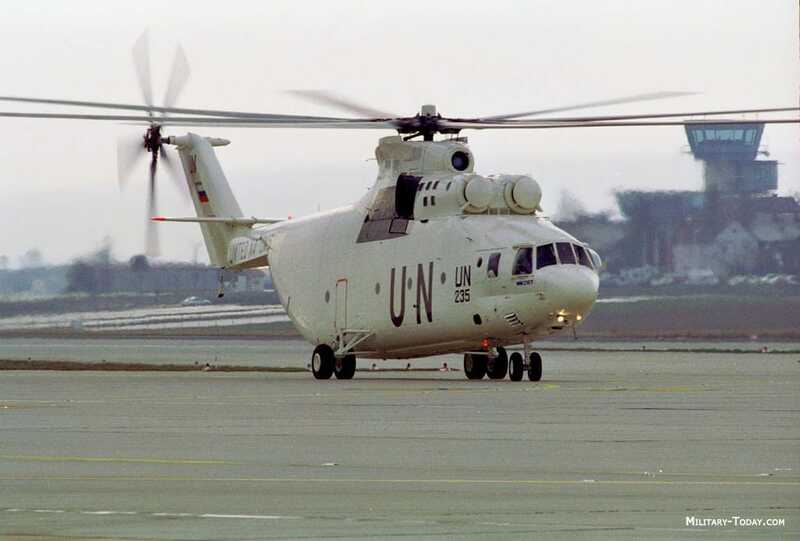 They wanted to phase out their old fleet of Mi-6 and Mi-12 helicopters in order to have an aircraft big and powerful enough to take strategic assets anywhere in the country at a moment’s notice. The helicopter’s first test flight occurred in 1977, and it was fully integrated into the Soviet Air Force in 1985. When we say that this is a big helicopter, we really mean it. 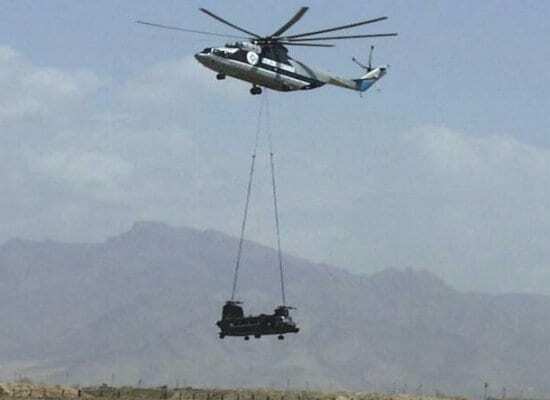 In fact, the helicopter was specifically designed to be able to carry amphibious armored personnel carriers from one area of the country to the other. The Mil Mi-26 is also able to take entire intercontinental ballistic cruise missiles and transport them around the country. It is able to fly these enormous vehicles due to its powerful engines and huge rotors. In fact, the helicopter’s tail rotor is as large as a standard private helicopter’s primary rotor! 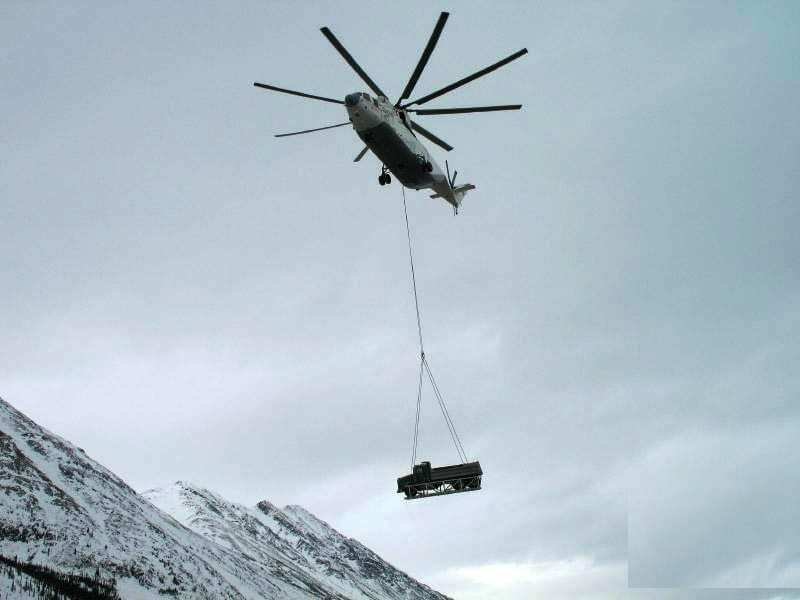 This cargo helicopter has an incredible amount of room. In fact, the helicopter was designed to be as light as possible specifically so it could carry more. The helicopter is big enough and strong enough to be able to carry two one-ton military vehicles at the same time. Or it can take up to 80 troops with it. It even has the ability to pick up commercial airliners and fly them from place to place! 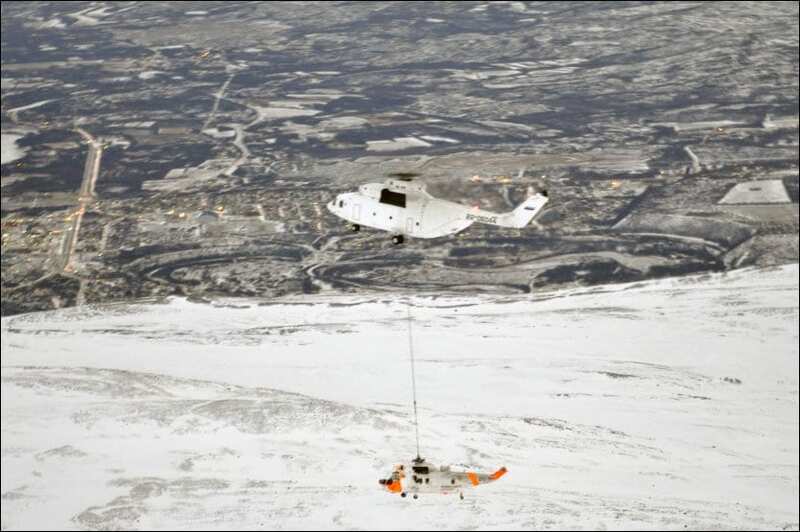 The Mil Mi-26 holds the record for the heaviest load ever lifted over 2,000 meters. 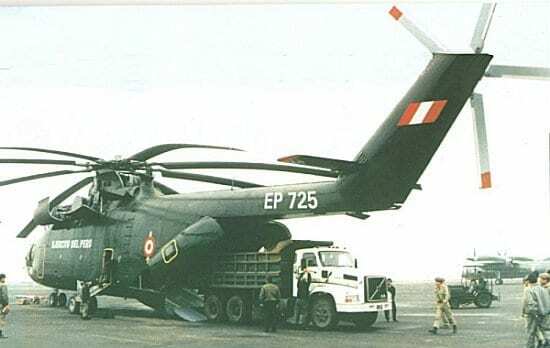 The Soviet Union really wanted to show off their brand new workhorse of a helicopter right when it came out, so one of the choppers was loaded with over 125,000 pounds worth of gear and sent up into the sky in 1982. 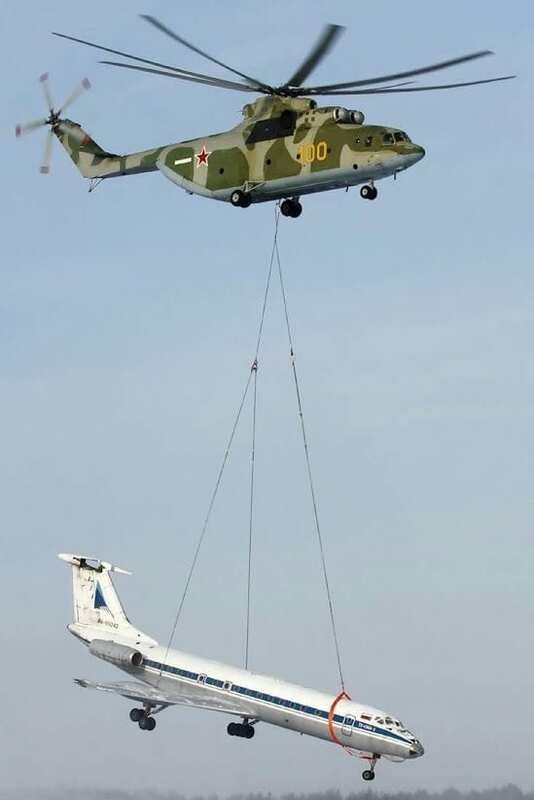 Amazingly, with the chopper’s engines absolutely screaming and working their hardest, the Mil MI-26 was able to lift the load. There was a nuclear meltdown at the Chernobyl nuclear reactor in Pripyat, Ukraine. 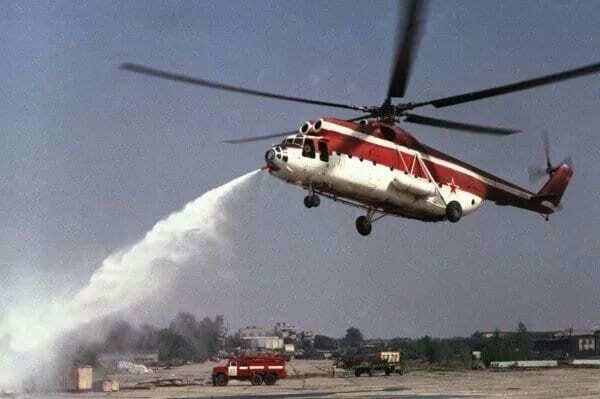 In order to combat this disaster, the Soviet Military created the Mil Mi-26S, a helicopter which can be used in the event of nuclear disasters. 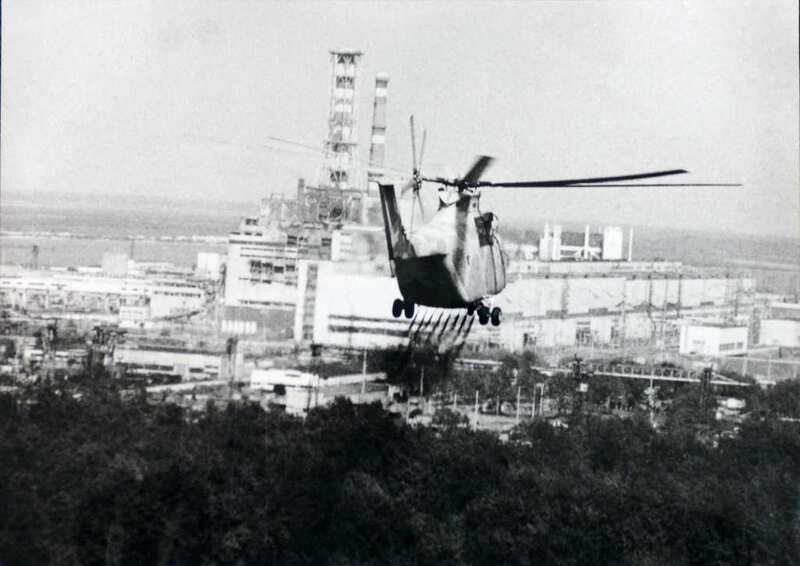 The helicopters were equipped with deactivating liquid which it would spread across the area, took radiation measurements, and airlifted supplies to the construction workers on the ground who were working to build a protective shell around the reactor. Back in 1999, a man named Simion Jarkov was working in the far northern Taymyr Peninsula when he came across an amazing discovery in the frozen soil. He saw two giant tusks protruding from the permafrost soil, and he immediately elicited his brother to help dig them out. They went on to discover that the tusks were still fully connected to a fully preserved wooly mammoth! 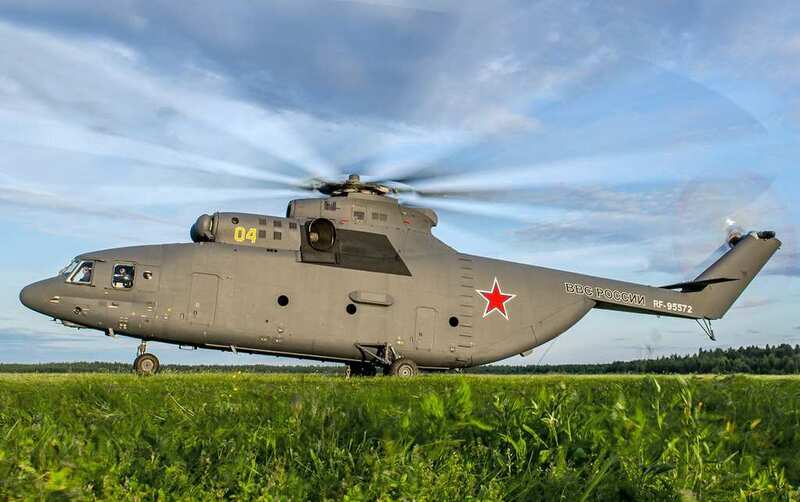 The Russian government dug out 23 tons of earth and mammoth and got a Mil Mi-26 to fly it to the nearest town. 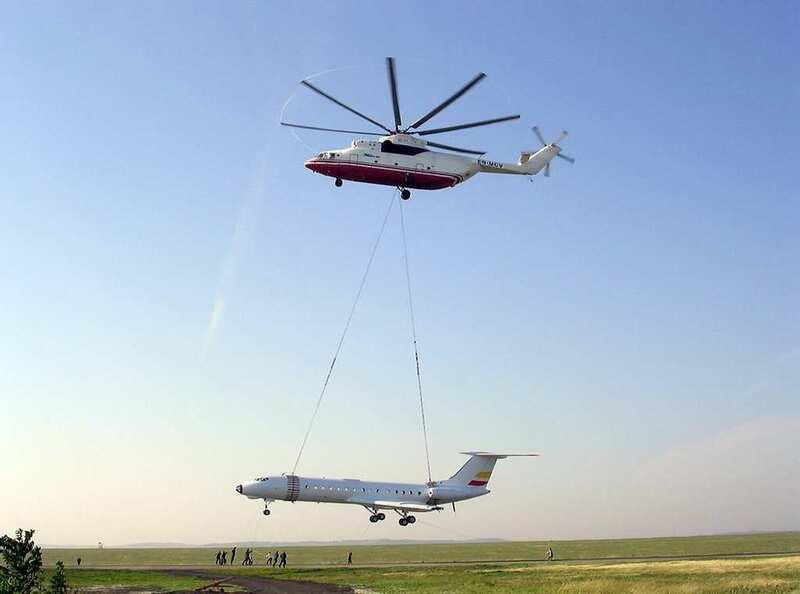 The Mil Mi-26 is indeed designed for heavy lifting. As mentioned previously, it can lift planes, helicopters, people, and seemingly anything else! However, because the wooly mammoth discovered in the far north of Russia was buried in permafrost, the scientists in charge of digging out the animal insisted that the 23 tons of dirt be taken with the mammoth. This operation was so big that the helicopter flying the mammoth needed to be taken in for repairs. The United States decided to enter Afghanistan back in an effort to eliminate al-Qaeda mastermind Osama bin Laden in 2001 following the terrible attacks on September 11, 2001. Soon after that, two United States Military Chinook helicopters were ferrying U.S. special forces to a location in Afghanistan when they began taking heavy fire. 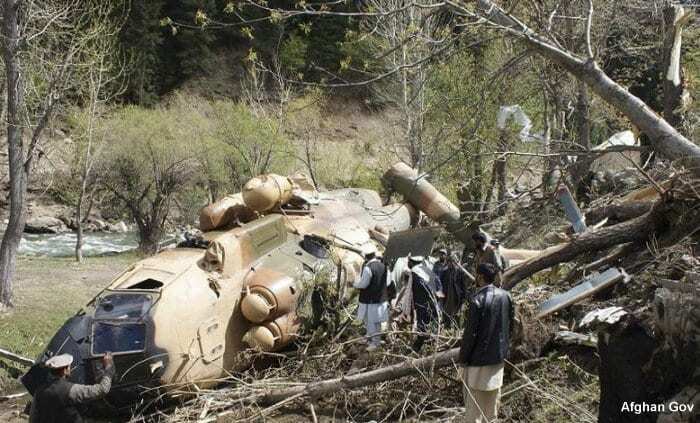 The two helicopters were damaged and landed on top of a mountain, but they were too high and too heavy to be recovered by a US helicopter. So, with no time to spare, the United States military set about trying to recover their troops as well as the Chinook helicopters. While the troops were saved, the helicopters were still stuck on the top of the mountain. 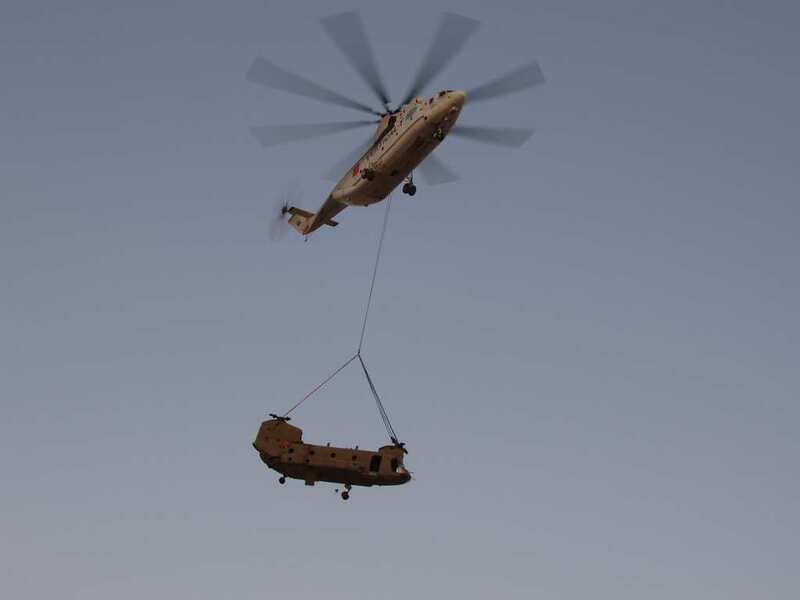 So, the US Military outsourced to a Canadian company to find an Mil Mi-26, the only chopper strong enough to haul away a Chinook. They found one being used in Tajikistan, and the US Military took it. The helicopter picked up the Chinooks and was able to fly them back into US held territory. Back in 2002, the Russian military was fighting against radical Chechen militants as well as militants there. 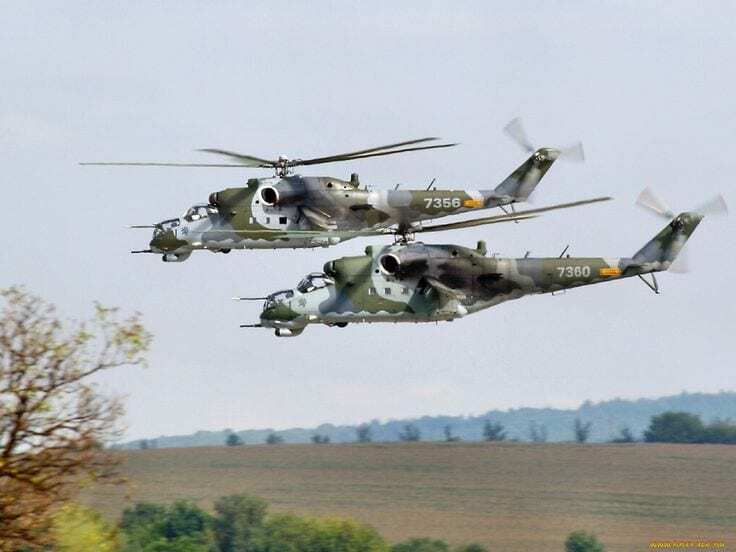 Then, on August 19, 2002, the Chechen militants shot down a Mil Mi-26 carrying over 140 soldiers between military bases. The rebels used a simple man-portable air-defense system (MANPADS) to shoot down the helicopter. The chopper ended up crashing into a minefield, with those who survived the disaster then having to contend with not stepping on any of the mines. All in all 127 Russian soldiers sadly lost their lives to this violent attack. The Russian president at the time declared that the day after the attack was a national day of mourning, and the Russian media described the heinous attack as “a second Kursk,” referring to a submarine that sank with 118 sailors on board. It was discovered that the missile was fired from a block of apartments, so the Russian Military decided to destroy the buildings top prevent such an attack from happening again. 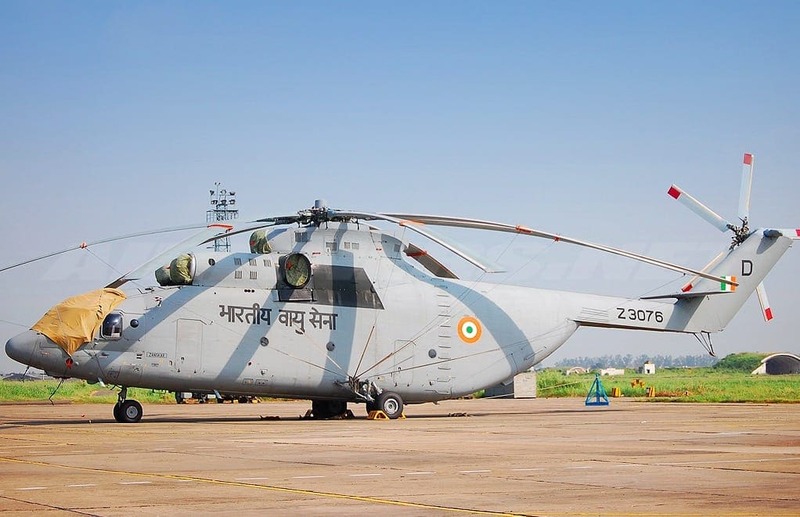 Back in 2010 and Indian Air Force Mil Mi-26 was attempting to take off from the city of Jammu, which is located in the Indian State of Kashmir when the chopper crashed, rising 50 feet into the air before it came crashing down to the ground. Luckily, no one lost their lives, although all nine of the passengers were injured. The reason for the crash was because one of the trucks in the helicopter’s hold got loose and started moving around, causing the helicopter to become imbalanced. The Mil Me-26 is such a powerful workhorse of a helicopter that countries all around the world have purchased and are using them for their heavy lifting jobs. The Algerian Air Force hs 14, and the Russian Air Force, Chinese Air Force, and Venezuelan Air Force also flies them. Some of the more surprising countries which have been seen flying these behemoths around their airspace include the Democratic Republic of the Congo, Equatorial Guinea, and North Korea. Even the United Nations uses them! 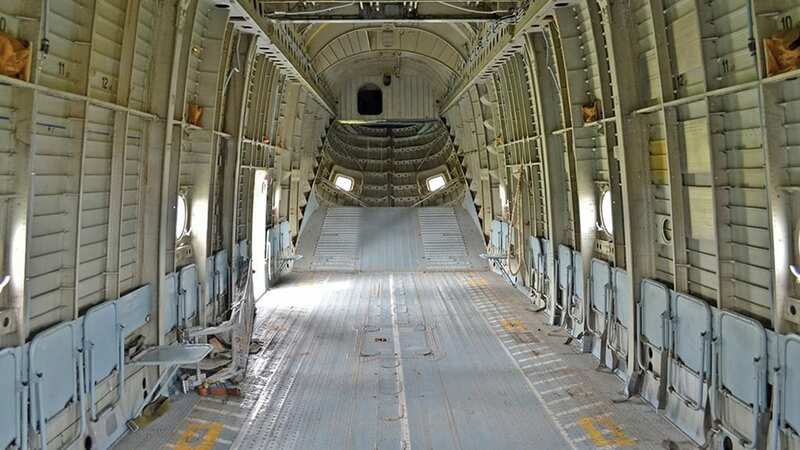 Back in 2009 a Moldovan Mil Mi-26 was ferrying goods around Afghanistan as part of its mission to help the NATO alliance of countries who were in charge of that country. But then, all of a sudden, Taliban fighters using a hand held surface to air missile shot down the helicopter over the restive Helmand province. The chopper, which was carrying a combination of Ukrainian as well as Moldovan troops crashed to the ground, and six Ukrainian lives were lost. Back in the winter of 2012 a Norwegian rescue helicopter called a Westland Sea King was experiencing technical difficulties and was forced to land on a very inaccessible mountain in the far northern reaches of Norway called Mount Divgagáisá. The landing they made was so rough that the landing gear of the helicopter broke. While the crew was evacuated, the question remained of what to do with the helicopter. 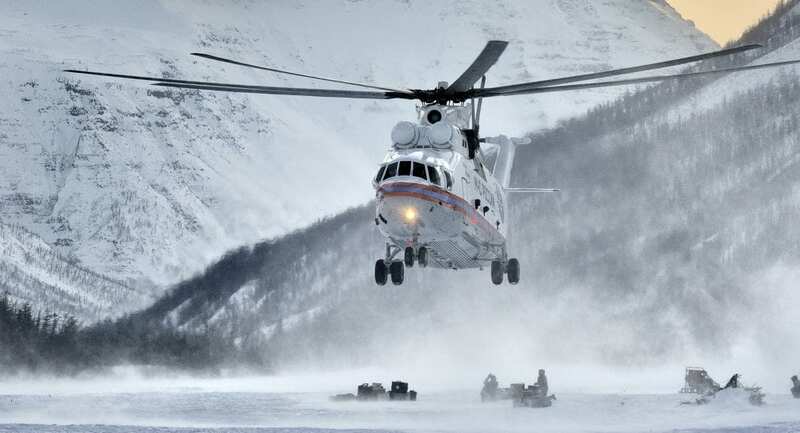 The Norwegians asked the Russians for help, and the Russians sent a Mil Mi-26 to salvage the Norwegian helicopter. One of the main reasons that countries buy up the Mil Mi-26 is not only to ferry troops and equipment from place to place, but also to use in firefighting operations. The helicopter is able to carry enormous water buckets from water sources to forest fires, and have been critical in helping to put out these blazing infernos. They are also able to fill up specially installed water tanks in their cargo holds and direct the water streams at the source of the blaze. The statistics on these giant beasts are pretty astounding. Fully loaded, the Mil Mi-26 can carry over 40,000 pounds of gear or troops, and carry all of them at over 15,000 feet. The chopper is really fast too, able to fly at speeds of up to 185 miles per hour, but normally flies at 158 miles per hour for 500 miles. If auxiliary fuel tanks were added then the helicopter would have a range of 1,190 miles! 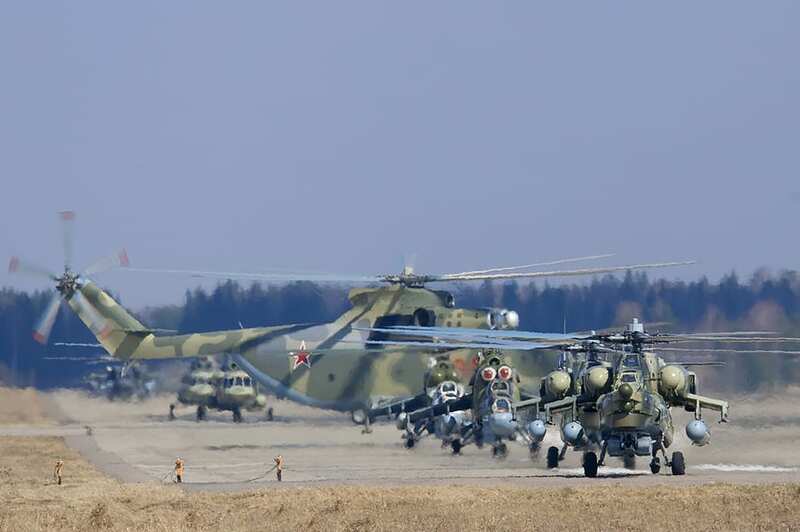 Following a massive earthquake where the Chinese Air Force used the Mil Mi-26 in order to ferry goods and emergency vehicles to the earthquake’s epicenter, the Chinese have realized that they need bigger helicopters which can ferry more troops and heavy equipment to disaster sites. The helicopter itself is set to be giant, and is reportedly going to weigh in at 30 to 35 tons. Our question is, how will it get off the ground?? According to Russian sources, the new, jointly built Russian-Chinese version of the Mil Mi-26 is going to have twice the carrying capacity of the current models, a much larger engine, and a brand new cockpit. It is expected that the new chopper will be able to lift 80,000 pounds – in other words, the weight of exactly one of the United States Military’s heaviest helicopters, the CH-53K King Stallion. We are really excited to see how it turns out!